Looking back on 2008, it's mission accomplished as far as the Le Mans 24 Hours goes, but it's mission not accomplished as far as the Le Man Series is concerned. The reason I came back from America was to go head-to-head with Peugeot and try and win the LMS championship. And while I knew some time ago that we had missed that target, it was very important for me to win the Autosport 1000km series finale from a personal point of view. I didn't want to end the season having not won a race in the series, and in the end, finally, we scored a victory. It was fantastic to grab victory from the jaws of defeat last weekend. 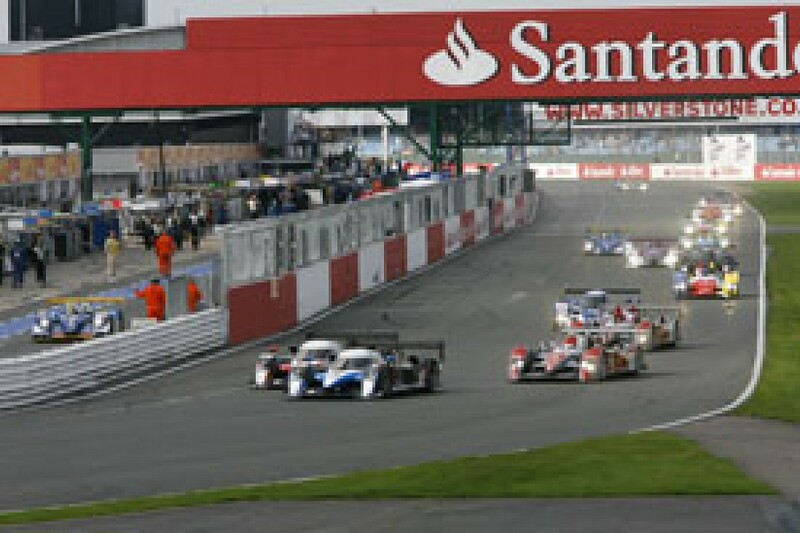 I always thought Silverstone was going to be like Le Mans. We had to attack, we had nothing to lose, and we just had to get everything right. We did that, and it all fell apart for Peugeot very early on, which handed the drivers' title to our sister car, and the manufacturers' title to the team! To come away from a season, where we have been generally out-performed by Peugeot on-track, with an ALMS title, LMS manufacturers' and drivers' championships and the Le Mans 24 Hours is impressive. If I'm being blunt, it was also a surprise. But it was down to a really good team that made the most out of what we had all of the time. British racing fans are the best in the world, they came in their droves to Silverstone and they supported us all the way through. I signed a tremendous amount of autographs, and most of those photos I wrote on were from the 2004 and '05 event, the latter of which was the wettest and worst race I have ever taken part in. If fans weren't put off by that, then nothing is going to stop them coming to watch us race. But anybody that went last weekend and could still remember the last Autosport 1000km 20 years ago would have been shocked by the pace of the race. It is nothing like it was when I started even 10 years ago. It is getting more and more like Formula One, the way the strategy is run, the ultimate pace we race at and the aggression we call upon. From the moment the pace car pulled off we were in a fight with the Peugeots, which had locked out the front row, with myself and Alexandre Premat starting from an all-Audi second row. Going off the line, the Peugeots moved to the inside to block any potential manoeuvre, but I don't think they anticipated anybody trying to pass them around the outside into Copse. They braked reasonably early, so I thought: 'Okay, might as well have a look and see what we can get out of this'. Nicolas Minassian, who was behind Stephane Sarrazin, got pinched a little bit, because he was letting the car slide out on its normal trajectory and didn't realise I wasn't just alongside him, but halfway in front of him! He lost the rear and made contact with the side of my car. This knocked me onto the run-off and when my car bounced across the astro-turf, for a split-instant, I thought I was in trouble. But I lifted, got it straight, and carried on, while Nic spun in the background. As usual, I chased Sarrazin hard, partly to keep him honest but also to force more mistakes. Tyre pressures played a big part in our victory this weekend, and in the first stint, because they weren't quite right, I lost rear grip massively. I had big oversteer and I had to change the brake balance to manage it as much as possible. No-one got a lot of running through practice, which was mostly wet, so setups were a guessing game and I think we guessed better than Peugeot. We changed the rear pressures after the first stop, and immediately I felt I was in good shape and I was quicker than the leader Pedro Lamy - who had taken over from Sarrazin. He was blowing oil out the back of his 908 and struggling with traction. In the high-speed section he was quicker than me, but from Club all the way back to the start-line, I was catching him. I was just getting to the point where I could attack Lamy when Minassian had the shunt at the Becketts complex that cost him and Marc Gene the race as well as the drivers' title. He clipped a GT2 Porsche he was lapping on the exit of Maggotts and from that point on he was a passenger. I could see exactly how it happened. There have been a few times this year when I have done the same thing, breathed in as I cut in front of a slower car, and waited for the hit. Lapping cars is a very, very critical thing, and when we are pushing to try and regain time lost things like this happen. Dindo did the same thing at Monza. In my opinion, Minassian did a bloody good job this year. I was disappointed for him that his championship year ended with an accident because, all-in-all, everything else he did this year was superb. Of course I am very pleased our teammates Premat and Mike Rockenfeller won the championship, but I don't think it is nice for anyone's year to go up in smoke after being so strong. And while I'm on the subject, one other driver that surprised me in the Peugeot camp was Pedro Lamy, because I didn't think he would be able to keep it together for a whole year. He has improved a lot since he was my teammate at Porsche in 1998. Why did Minassian crash? Well for one thing the traffic was worse at Silverstone than any circuit we have been to. Not because of driving standards, just because the first half of the track is so fast and aerodynamically important that there is a big speed discrepancy between the LMPs and the GT cars. Also there is really only one line because the corners flow into each other. If you catch a car through Copse, you lose two seconds straight away. When you look how close the racing was at the front, and with an LMS championship at stake, you can't afford to lose time. You overtake so many cars during a race there is the odd occasion when it goes wrong, that's just the law of averages. There is a general opinion that LMP drivers don't care about GT drivers, but of course we do. Obviously we don't want collisions, we get penalties if we have them and there is a very high risk that it is us who is going to have the big accident in any contact. We also understand that to get out of the way of us is not easy either. I actually find it difficult when GT drivers try to help when we are lapping them, because then it becomes harder to predict their actions. I hit a Porsche early-on which was completely my fault. I got into the problem because I felt that he had seen me when he obviously hadn't. Speed through traffic decides every race. Traffic also played a part in the incident that befell our car when Dindo and Sarrazin made contact fighting for second, just after the re-start that followed the clear up for Minassian's crash. I was surprised that Sarrazin thought Capello had hit him on purpose. I can categorically say that would never even have gone through Dindo's mind. Stephane went around the outside of him at Copse, and he was a little bit in front, but he pulled in to take the racing line and without realising, or bothering to check that there was an Audi on his inside. It was a bit of a stupid move. But he blamed me in Barcelona for a car crashing into the back of him, when I was in front of them both! So I don't think any incident seems to be Sarrazin's fault. Sometimes people have to put their hand up and admit when they have made a mistake. As a professional racing driver you have to point the finger at yourself now and then. But the move wasn't designed to take anyone out on either side, it was just a hard challenge that was never going to work. In general though, the driving standards between us and the Peugeots have been hard but fair this year. That accident effectively wrote-off Peugeot's chances of coming away from the Autosport 1000km with a championship title. We fought back to take the win, and Rocky and Alex took the drivers' championship with fourth place. They did a good job and they had consistency this year. 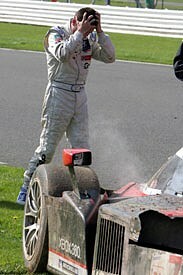 Rocky learned very quickly from the big shunt he had at Le Mans in 2007. Instead of going for gold this year, in Monza and Spa they focused on building up their pace. They kept out of trouble and picked up points when either we had an incident or the Peugeots had trouble. They finished second in the first three races, and that put them in line for a great title chance. They also improved their pace, particularly at the Nurburgring and Silverstone - which allowed them to stay in touch and take advantage of racing situations. All-in-all, they are two young guys that have gained experience from different areas of the sport and you can't ever say that someone is lucky to win a championship. You have got to be consistent, and no-one else was. On Saturday the ACO announced that next year we will have new regulations to close the performance gap between the diesel-engined cars and the petrol-powered LMP1. As far as I am concerned it's set in stone and it is what it is. 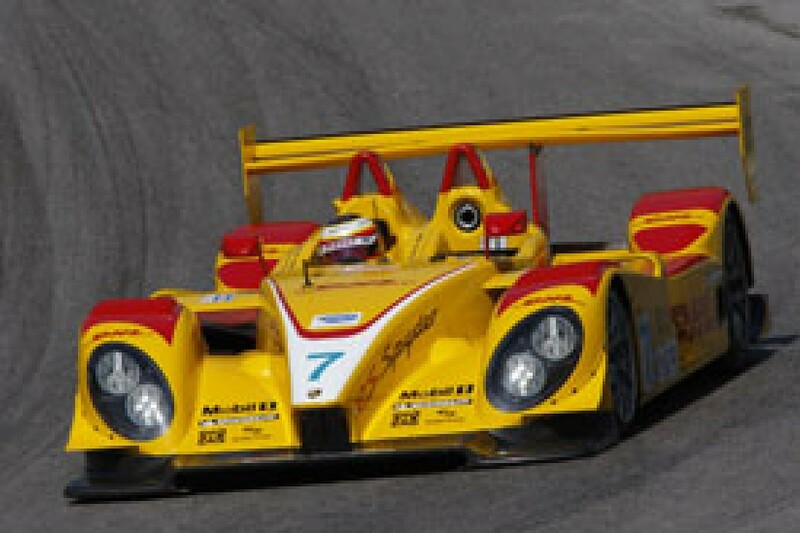 A good petrol LMP1 car, as we saw with the Lola Aston Martin, can be very effective anyway. If that had been a full-blown factory effort then I think they would have been extremely competitive, never mind next year's 7.5% power increase relative to the diesel, once you have take the 10% away from us and the 3% away from them etc, etc. But the thing that concerned me about the new rule package is the ban on tyre warmers. It is not sensible and it is not safe. LMP1s are very big, powerful cars, and for big manufacturers who can develop solutions to this it is okay not to use tyre warmers. But if you put some of the less well-off teams and some of the gentleman drivers into that scenario, whether it be at night at Le Mans or when the track temperature is just 5 degrees, then it can create some quite negative situations. I also think that by slowing the pitstops and reducing the number of people allowed to work on the cars, you are effectively promoting double-stinting, which then means a slower warm-up of the tyre, which has not been pre-warmed. This is just going to compound the problem. I personally don't think tyre warmers are unsafe, we all have them already, and in comparison to the cost of other areas of our sport, they are not expensive. So what next for me? 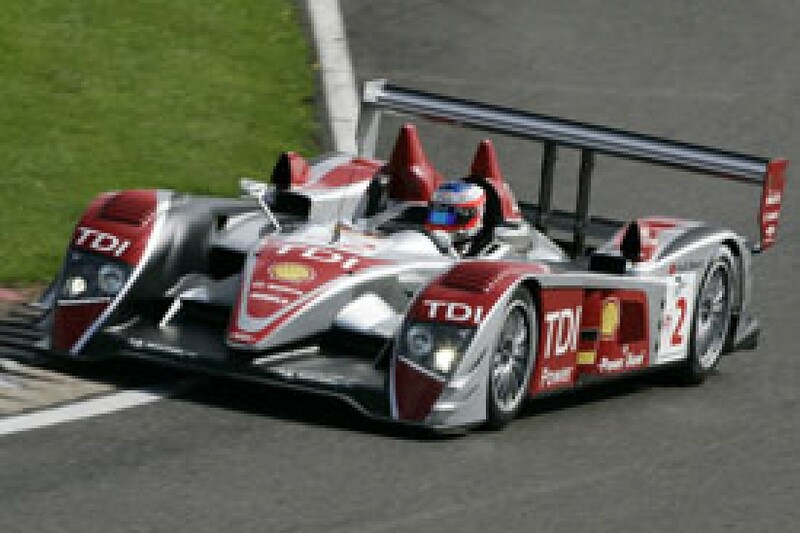 Well Audi has yet to announce their line-up for Petit Le Mans, at Road Atlanta in October. I must say that I would like to be a part of it. I love that event anyway but this year looks like it's going to be a cracker. Peugeot are going to want revenge, and you only have to look at the performance they produced at the Nurburgring after their Le Mans defeat to know what they can do when they've been wounded. Then there is Penske Porsche, who have increased their team to a three-car attack to try and win the race out-right, and of course there are also countless Acuras taking part. You've got to want to be a part of that! As for next year, well it's only been a couple of days since the last one ended for me officially so it's a bit early to be thinking about it. But as any of you that were at the Autosport 1000km witnessed, I don't give up until I have accomplished a task - and there is definitely still something to accomplish in the Le Mans Series.